It was a Friday night, around eight o’clock, when Dave flipped his 4-wheeler. We had not even been at the camp site more than a couple of hours when it happened. We were meeting friends from the close west coast, but they were not coming until the next day. Their young adult sons, however, had arrived that same evening as us, and I thank God for the one who pulled the ATV off of Dave. “Oh my God, get it off him,” I screamed. And like a super-hero, the young man leaped into action. I was horrified. I could not believe what I was seeing. Next I was screaming that I had no cell phone service and a stranger hollered that an ambulance was on the way. Some of this and what happened next, I wrote about in the previous post, The Trauma 10 Years Ago. And then I had to tell the kids. Both our son and daughter offered to do whatever they could to help. “Actually,” I said, “find a friend who will drive you out here so that one of you can drive my truck and one of the ATV’s back home.” I towed the RV with Dave’s truck and our other ATV on the back with my flashers on the whole way, afraid to go over 40 mph. What would normally take a little more than two hours to get home, took me four. I arrived home totally exhausted an hour before dark and decided to wait until the following day to drive the 4+ hours to Tampa General. Our friends from the close west coast had been keeping Dave company in the meantime. Still, it would be another seven days after I got there before he could come home. Pneumonia caught him and did it’s best to keep him down, but if you know Dave, you know that he refused to stay down for long. 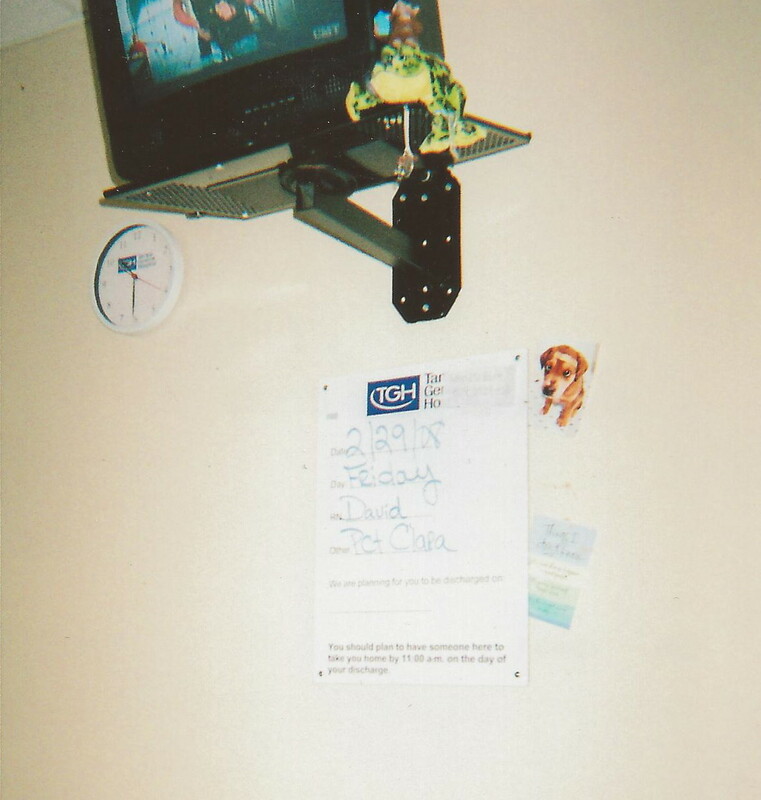 Finally, Dave was discharged on March 1, 2008. Still, it would be another six weeks before Dave was cleared by his doctor to go back to work. In that time, we went to many doctor’s appointments to see about getting his eye fixed. He even had an appointment with a world renowned eye surgeon in Miami, but upon further investigation, the doctor determined that it could not be done. It impressed me that we got back every penny of our deposit, which was a good thing because the economy was headed for a meltdown. Thank God we hadn’t a clue. By the time Dave was cleared to return to work, we were wondering what in the heck happened to the construction industry. At first, I thought perhaps people were afraid to hire a one-eyed contractor. “I don’t know,” a friend suggested, “don’t you ever close one eye to get a better look at something? So it’s not necessarily a bad thing,” and we laughed. Not at him, of course, but with him, because if we can’t laugh, then we are taking life way too seriously. You know his other eye is really really good. 😉 Luv you guys! You know it! 🙂 Love you!